The Harley Laser Specialists is a London bespoke private laser treatment clinic offering a high-value service at an affordable cost. To completely redesign their current website consisting of 60 pages, 10 posts, and over 150 products while maintaining the same URL structure and not creating broken links resulting in Google rank penalties. We rebuilt the website from scratch in a development environment page by page keeping the current trailing URL structure while making On-Page SEO improvements as we brought the content over. 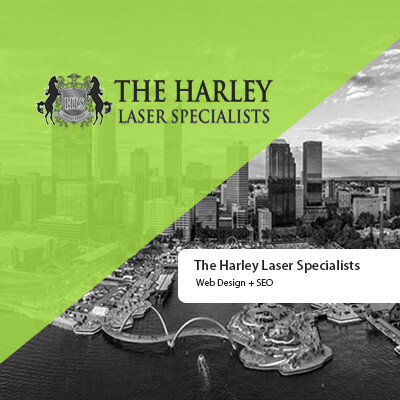 The newly updated mobile and SEO optimized site not only improved The Harley Laser Specialists overall SERP rankings but the new design helped increase on page conversions.